Barbara J. Stoll, M.D., is the ninth dean of McGovern Medical School and the H. Wayne Hightower Distinguished Professor. Dean Barbara J. Stoll provides updates of news and items of interest in her blog Study Break. She welcomes feedback via email. View the archived updates below. UT Physicians is the clinical practice of McGovern Medical School at UTHealth. 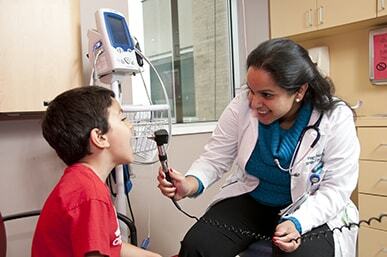 With more than 1,500 clinicians serving 80 medical specialties and subspecialties, UT Physicians provides multi-specialty care for the entire family. The Medical School is pleased to offer its annual report, featuring highlights of education, patient care, and research, as well as overviews of each department. Learn the basic facts and figures of our institution in this handy guide. Read about the faculty, centers, and science highlighted in the annual report of our prolific research institute, the Brown Foundation Institute of Molecular Medicine for the Prevention of Human Diseases.